A rich, non-greasy textured cream that is fast absorbing, non-comedogenic, and a perfect moisturizer for all skin types. 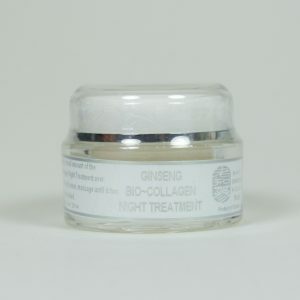 It is specially formulated with a blend of ginseng extracts, all-natural bio-collagen and other natural plant based ingredients. It provides protection to the skin from extreme external environments, such as the wind and the damaging effects from sunlight. 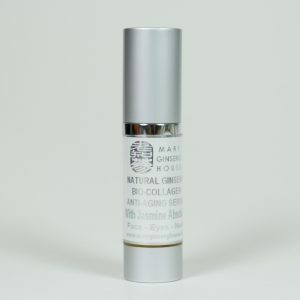 It provides nourishment to the epidermis and prevents the loss of water from the outer layer stratum corneum and helps smooth out fine lines and wrinkles caused by aging. 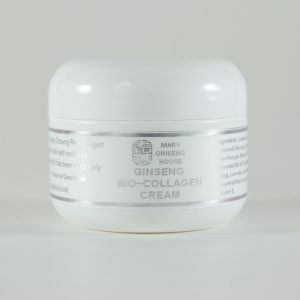 The ginseng also provides a strong rejuvenating affect to repair damaged skin, and can also be used to treat acne, eczema, sunburns, rashes and general irritating skin problems. 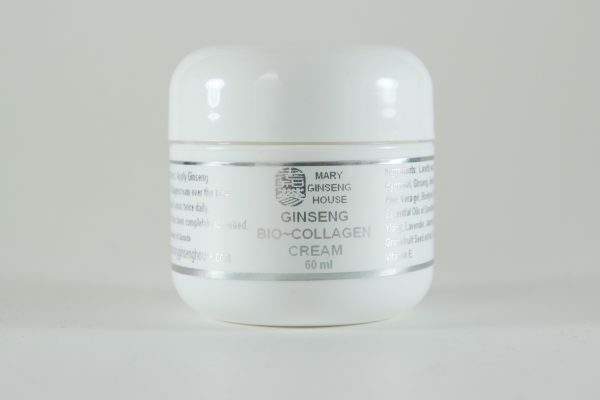 This cream is also blended with a top-quality collagen ingredient derived from plants, which serves as rich nourishment to the skin tissues and promotes the reproduction of collagen and elastin in skin. Apply this Ginseng Bio-Collagen Cream to skin following the use of Mary Ginseng House’s Bio-Collagen Serum which provides extra protection to the skin from extreme external environments, such as the wind and the harmful UV rays from sunlight. Lanette wax, Ginseng, Jojoba ester, aloe vera gel, Biodynes EMPP, Roman Chamomile Essential Oil, Ylang Ylang Essential Oil, Lavender Essential Oil, Lemon Essential Oil, Jasmine Absolutes, Rose Absolutes, grapefruit seed extract, and Vitamin E.
Use twice daily, and apply Ginseng Bio-Collagen Cream to face and neck areas and massage gently until it has been completely absorbed. 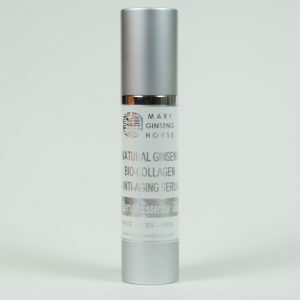 For best results, use along with Mary Ginseng House’s Bio-collagen Serum’s.